The Atherton Tablelands has a rich history from World War I, through World War II and in more recent times honouring the fallen in Afghanistan. Take a journey for a window into the past and also the present as we remember what was done for our country in preserving what we consider so important and also contributed to what defines us as a people. Our journey begins with World War I, when like so many towns in Australia, our men and women answered the call to fight in far off lands. As you drive through most of the towns on the Atherton Tablelands, the cenotaph will be in a prominent position as is befitting of the memory of those “Tablelanders” that did not return home. Take a minute to look at the names, many from the same family who paid the ultimate sacrifice. James Spranklin who won the Military Medal in France, was fortunate to return home. He won a balloted farming block at Kairi, before moving his family to manage the Hotel at Innot Hot Springs. During World War II the Atherton Tablelands was home to one of the largest staging basis in the Pacific. Beginning in 1942 with the Mareeba Airstrip being sealed and home to both Australian and American Airforce Squadrons, Mareeba airfield became the main operational airfield in Far North Queensland. Such was the perceived threat that the Gillies Range was mined in case of invasion. Later that year General Blamey ordered a survey of the Atherton Tablelands for combined recuperation and jungle warfare training for Australian troops of the 6th and 7th Divisions AIF, heading for New Guinea. This was known as the Atherton Project. From that point on, there was a steady increase of more troops from both Australia as well as the US. There were both Australian and US serviceman based in Kuranda, Mareeba, Atherton, Herberton, Ravenshoe and Tinaroo. Driving through the Atherton Tablelands, you will easily see signs depicting the relevant division that was camped at that location. The Barron Valley Hotel in Atherton became the Officers Club and at Rocky Creek the 19th Field Ambulance prepared a camp area in readiness for the 5 Australian Camp Hospital. 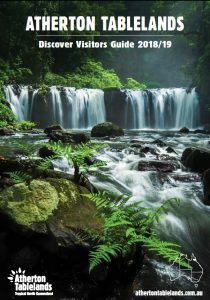 Rocky Creek today lists every Division that was based on the Atherton Tablelands and is well worth a stop as you explore the Atherton Tablelands. Afghanistan. It is a timeless memorial and preserves forever the gratitude and respect we have for our fallen. It is an incredible moving memorial and is a must experience of your Anzac Trail.